MANILA (Updated) - The Philippine National Police (PNP) should look into alleged late response made by Cavite police personnel on Friday's shooting rampage, where nine people were killed and several others were wounded, a Palace official said Saturday. In an interview over dzRB Radyo ng Bayan, deputy presidential spokesperson Abigail Valte said there were reports that the Kawit police responded 30 minutes after the information about the shooting incident was relayed to them. "That should be looked into, their response time," she said, noting that in Metro Manila, Chief Superintendent Leonardo Espina, the National Capital Region (NCR) Police Office chief, is strictly implementing the two-minute response rule. "Perhaps the provincial director can also look into the response time of those who responded (in the incident), especially if there was a nearby precinct," she added. Valte also said the shooting rampage should prompt the police to carry out extensive campaign against loose firearms and illegal drugs. 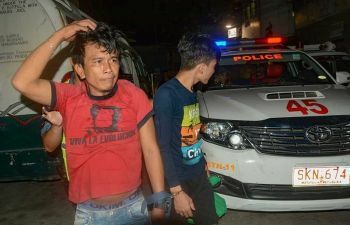 Ronald Bae, a suspected drug addict, went on a shooting rampage in Kawit, Cavite attacking his neighbors with a .45-caliber pistol. Police investigation confirmed that Bae was high on drugs when he carried out the rampage. 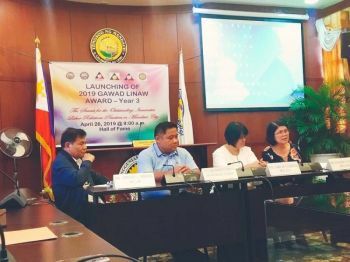 “This should provide further impetus for our officials of the PNP particularly in Calabarzon, to further heighten their drive against illegal drugs,” Valte said. The official also fended off accusations that politics hinders effective police work in Cavite. It was reported that Cavite Governor Jonvic Remulla complained about not getting enough policemen in the province because he is not an ally of President Benigno Aquino III. “In peace and order, there's no politics. 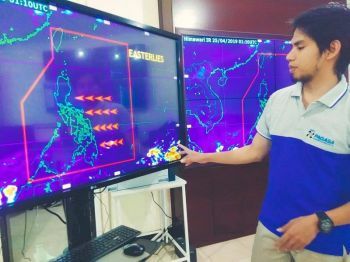 We’ve always been very adamant about that and if Governor Jonvic Remulla has any concerns, and I’m sure the leadership of the PNP will be more than happy to coordinate, and to listen to him,” Valte said. Friday’s shooting happened in Barangay Tabon 1 in Kawit, Cavite, around 9:30 a.m. The suspect, who traded shots with responding policemen, was shot to death by the authorities around 11 a.m. The suspect entered several houses and shot everyone inside, including children, according to witnesses. The police also found sachets containing suspected drugs inside Bae’s house. Eleven people were wounded in the incident. The house caretaker, who reloaded the pistol of Bae, will face criminal charges. Cavite police chief Dionicio Borromeo said John Paul Lopez surrendered to authorities late Friday, hours after the rampage. Borromeo said Lopez explained that Bae threatened to kill him if he did not reload bullets into the magazines of a .45-caliber pistol used in the killing spree. Borromeo, however, said Lopez never tried to stop or talk Bae out of the rampage, whose victims included a pregnant woman and her young daughter. Police officials said Bae left his Kawit neighborhood about a year ago after he lost an election for village chairman, and returned Monday due to a "marital problem" with his wife, whom he had left in northern Pampanga before the New Year. Bae and several friends were on a "drug and alcohol binge" from Monday to Friday, drinking alcohol and taking methamphetamine or shabu. Bae left a store where he and his friends were drinking, but later returned with his caretaker and began the shooting spree in the surrounding neighborhood, Governor Remulla said Friday. Malacañang condemned the shooting rampage, noting that the carnage will certainly fuel the government’s relentless efforts to clamp down on loose firearms.